Born to Run (1975) was to change everything, although Springsteen struggled terribly in recording it. Seeing it as his last chance at achieving a commercially viable record, he strove for perfection, becoming frustrated when the sounds in his head were not being replicated in the studio, indeed he was deeply unhappy with the final product. It was released to great hype, the rumours had been building and building, a rare thing, they were justified, the record re-defined the whole thing, rock and roll that is. It was also in a word massive, radios pumped out Born to Run, Thunder Road, Tenth Avenue Freeze-Out and Jungleland; the masses adored it, Springsteen made the front cover of Time and Newsweek on the same day. Yes, they were now trying to swallow him up, transform him into their star, mould him into the messiah that they wanted him to be. Springsteen had other ideas, his following album Darkness on the Edge of Town (1978), was a darker, more politicised affair, Springsteen definitely was not going to sell out commercially. The songs were still about the small-town characters that had populated the earlier records but this time around they were broken and shattered by the pressures of modern living, he even left the songs Fire and Because the Night off the record because they sang too much of hope, which were later to become hits for the Pointer Sisters and Patti Smith. 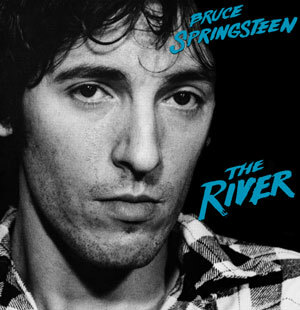 The record is raw, electric, powerful, searing; as was the tour to promote it, Springsteen et. al becoming famed for their live performances, playing every night like it was their last. This entry was posted in Arts and Entertainment on January 25, 2014 by admin_z.